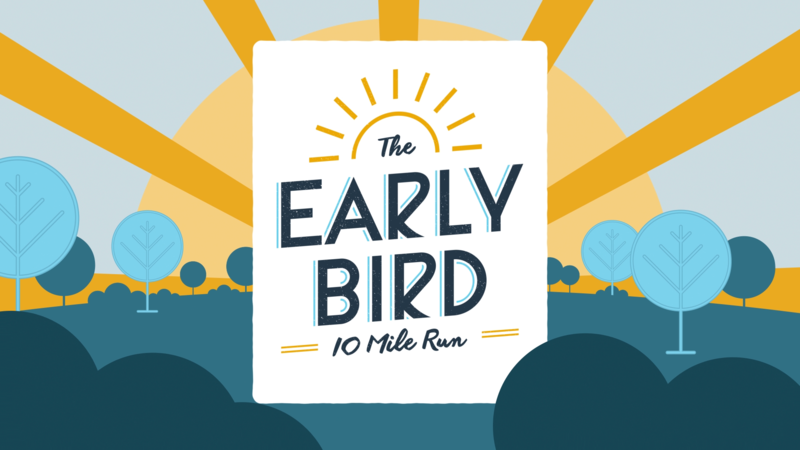 Join the flock at Omaha’s Early Bird 10 Mile Run! That’s right, be an early bird and #EarnYourWorm! Kick off the running season with the first big race of the year in west Omaha. Fly out of Walnut Grove park at sunrise, circle beautiful Zorinsky lake, and then return for free brunch in the park. Did someone say mimosas? Oh yeah, we did! 7:30 am Rooster crows… Race Starts! 2020 Race Guide coming soon! Pink Gorilla puts on a well organized, HUGE event! They do a great job making it a fun, safe, well-informed experience. The marketing is fun and engaging. The information is clear and concise before, during, and after the race. Communication is consistent and precise. The retail is great quality! I can't say anything bad about Pink Gorilla. High five dudes! Kudos to you Pink Gorilla!! Every event I have participated in that have been organized by Pink Gorilla has been on point!! Not only does this company take pride in what they do but also in taking care of the people who volunteer too. I look forward to participating and volunteering in future events from Pink Gorilla! Absolutely love running and volunteering with Pink Gorilla! Every race is energetic and well organized! They seriously run a tight ship, don't hesitate to run their races! After the run, it’s brunch time! Wet your beak with Barefoot Bubbly Brut Champagne Mimosas and Archetype Coffee. Fill up on new brunch faves from none other than Early Bird Restaurant. Brunch is included in your race registration! Age Division Awards will be given to the top three male and female finishers in each five year age group. Join the flock and #EarnYourWorm at Omaha’s inaugural Early Bird 10 Mile Run. Your registration includes the race, free brunch, a long sleeve tech race shirt, finisher medal, and bib-tagged race photos. Join our mailing list and get updates about 2020 registration information.